Here at Sawchuk Jewelry, as a family owned business, we know that your jewelry or watches are a significant and often an emotional investment. For that reason, Sawchuk Jewelers offers in house repair and restoration. For that reason we handle your jewelry as if it were our own precious memories. Sawchuk Jewelers provides quality restoration, jewelry, rhodium plating, and watch repair. 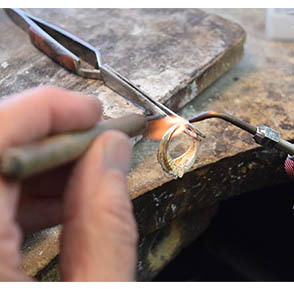 Whether it’s as simple as a ring resizing or as detailed as an old heirloom restoration, we have the experience and facilities to handle any task. Quality is always our top priority so that your precious items will continue to bring you years of enjoyment! See the difference for yourself visit our store at 5093 Cemetery Rd. Hilliard, OH 43026. We’ll see you soon!